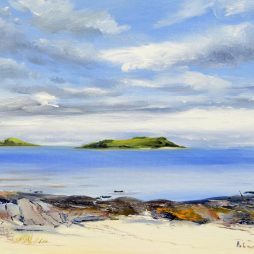 Angela Lawrence exhibits widely, as well as at her own gallery, Clience Studio, in Scotland, throughout the year. 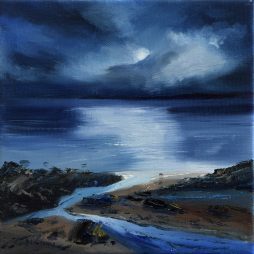 She holds a Finnish Arts Council Award, received a Creative Scotland and Dumfries and Galloway Visual Arts award for her “Sea Spirits” series and has featured in various publications and a BBC programme. 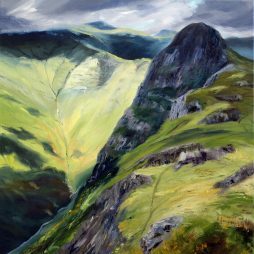 Angela has led workshops and painting demonstrations, and taken part in a public lecture series for Glasgow University and Spring Fling. 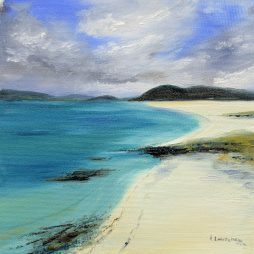 Angela lives and paints in Scotland, but was born in London and lived in Finland for many years. 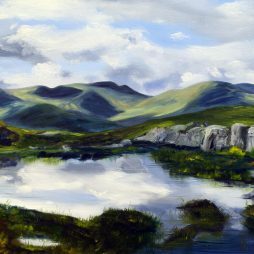 She has always painted but her training has principally been as a musician: before becoming a full-time artist in 2004 she was a professional violinist who worked as a freelance in London orchestras and full-time in the Joensuu City Orchestra in Finland. 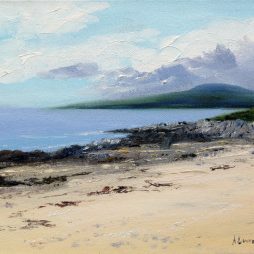 Much of her work portrays the beauty of Galloway and the Solway coast of South West Scotland which she knows well through a passion for walking. 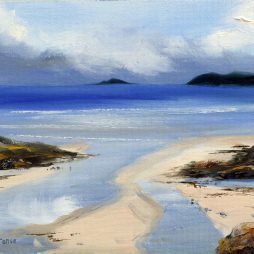 Immersed in painting, Angela feels the sea air or mountain breeze, and loves to convey those impressions, mainly with strong attention to light and with naturalistic, vibrantly fresh colours. 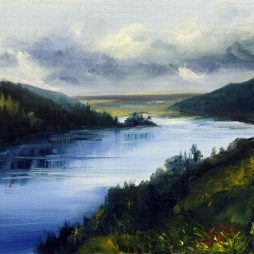 All her paintings are about the natural world. 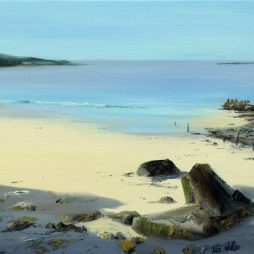 Some themes are more abstract, such as “Reflections” and “Sea Spirits”, while the seascapes and landscapes are more representational, aiming for recognition in terms of location and a sense of “being there”. 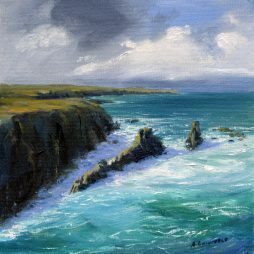 Angela enjoys the changing mood and light and the distant allure of the horizon, and, more recently, elements of the foreground detail. 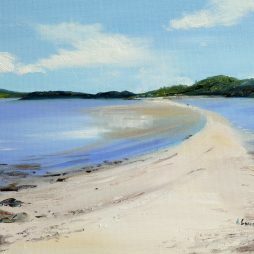 In oils, she prefers to paint quickly, “alla prima”, as the immediacy corresponds well to the fresh outdoor subjects. 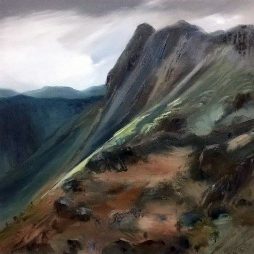 Detail is carefully added in so as not to overwhelm, but to enhance texture and perspective, and she subtly transforms locations for an effective composition, to bring out something of interest or to heighten a feeling of connection.